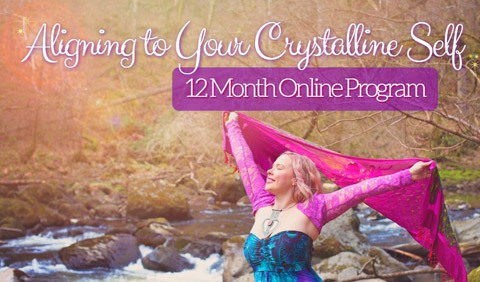 Becoming Crystalline is a 12-month online program for the seekers, teachers and vibe raisers who are ready to experience the true heart of crystals and with it, rise and soar! With the support of the crystal and elemental kingdoms, as well as Mother Earth herself, this program shares the direct Source teachings for radiant health, love and self-mastery. This soulful path will attune you to 13 of the most on-purpose crystals for our new Golden Age. You will receive every month, the direct teachings from the crystals with a detailed explorative guide, energetic attunements and guided meditations. Parts of the Atlantean Crystal Healing™ course is gifted in this program to bring in remembrance of your divine Self and support your ascension into 5th dimensional and beyond, heart-centred living. Click here for full information on all the goodies included in the program. You can choose to enjoy the program with or without mentorship. As self-study, meet with those taking the program (as well as previous alumni) in our private Facebook page and regular online gatherings. If you would rather receive email support from Calista, plus a monthly Zoom tutorial to answer course questions, please purchase the course with mentorship. Unicorn Healing® is a life-changing, 6-month online program that promotes health, wellness and empowerment for all concerned. This means of hands-on healing and self-discovery was created in 2009 through Calista direct from the Unicorn realms to support the global awakening and ascension of humanity. The course welcomes all – whether you wish to deepen your self-discovery or whether you would like to set up your own professional practice and offer treatments. No previous energy-work experience is required, just the willingness to commit your time, love and focus. When you enrol into Unicorn Healing®, you are joining a global family of beautiful souls who share a brighter vision for the Earth and all who live in harmony with her. Enrolment Open NOW for Summer 2019! Enrolment is now open. We’ll begin the online course again as a global group on the 1st of August, 2019. To ensure you have your training manual and details of the unicorn attunement please enrol before the 15th of July. Places are limited to 50 this year to ensure everyone receives as much support as possible from Calista. We have names on our reserve list so if this course is calling you do purchase asap. You can choose to enjoy the course with or without mentorship. As self-study, meet other students as well as graduated practitioners in our private Facebook page. 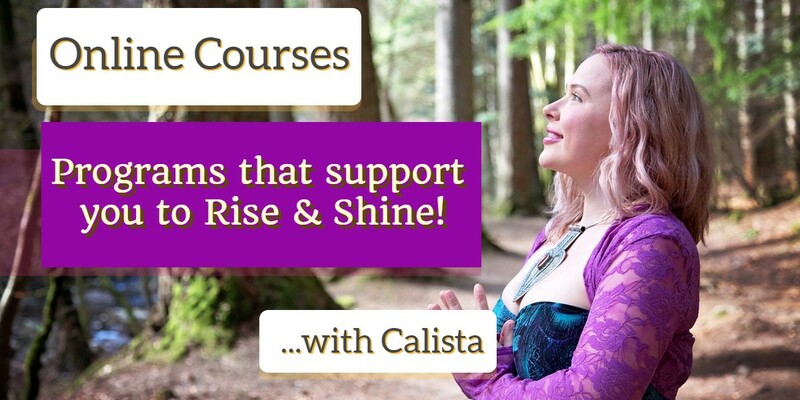 If you would rather receive email support from Calista and a personal one hour tutorial with her to answer course related questions, please purchase the course with mentorship. NB: If you’ve studied the course but didn’t complete it, yet wish to, get in touch to receive a discount code that’ll give you 50% off enrolling again. “This journey with the unicorns has been such an amazing and fulfilling experience for me, one which has truly helped me on my path and healing journey. It has been a blessing to connect with the sacred energy of the unicorn realm and meet my unicorn guardians. For me this has been a time of deep healing and bringing balance to my life. It has been a time for soul searching and receiving guidance from the unicorns and through this journey I have seen huge changes in my life. 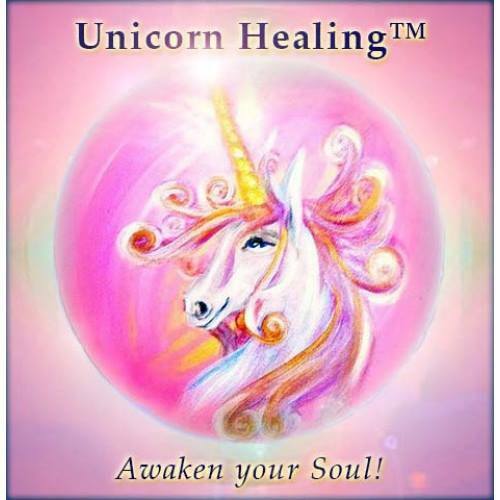 I am so delighted to be a Unicorn Healing® practitioner and to be able facilitate such a sacred journey for others through Unicorn Healing® sessions. I feel truly blessed.” ~ Mairead, Ireland. “I am so very happy to be able to call myself a Unicorn healer now. It is a joy and an honor. The Unicorns are here to show us the beauty of our own souls and their healing leads us to become whole and One again. They help us to enter our sacredness, to unite our feminine and masculine so that we have enter the joyful garden of our Soul, that has always been there and that we’ve hidden from ourselves for far too long.” ~ Iris, France. “THANK YOU Thank you the love and generosity and purity of your teachings and guidance, and everything that you have blessed and supported us. This course is a precious gift!” ~ Marijo, Lebanon. Get the latest news, free videos & event announcements from Calista straight to your inbox.